Earl L. Poust, 82, of 204 Quarry Road, Muncy, died Saturday, August 25, 2018, at UPMC Susquehanna, Williamsport. Born Aug. 17, 1936, in Lairdsville, he was a son of the late Jacob and Elsie (Gray) Poust. He and his wife, the former Yvonne M. “Vonnie” Allen, were married on Dec. 23, 1960. Together they celebrated 57 years of marriage. Earl was a 1954 graduate of Muncy High School. He was a 1958 graduate of Penn State University, where he excelled on the varsity wrestling team and was a member of the Phi Delta Theta Fraternity. Earl earned his master’s degree in counseling from Shippensburg University. He taught agriculture and science and was a counselor at the Muncy High School for 37 years. Earl wrestled and also coached wrestling at the Muncy High School for many years. In recognition of his dedication he was inducted into the District IV Coaches Hall of Fame, the West Branch Valley Sports Hall of Fame and the Muncy Sports Hall of Fame. Earl was a member of the First United Methodist Church, Muncy. 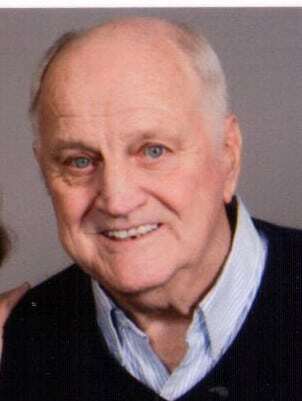 Earl enjoyed wood working, golf, traveling after retirement and was an avid Penn State fan and was a participant in the Danjo Wheeler Square Dance Group, Danville. Most of all he loved spending time with his grandchildren during the summer, creating Camp Grammy and Grand Dad. Surviving in addition to his wife are a son and daughter-in-law, Daniel and Melissa Poust, of Muncy; a daughter and son-in-law, Amy and Kevin Leddy, of State College; a brother and sister-in-law, Donald and Carol Poust, of Langhorn; a sister and brother-in-law, Helen and Tony Dgien, of Williamsport; and four grandchildren, DJ Poust, Matt Poust, Megan Leddy and Kelly Leddy. Friends will be received from 9 to 11 a.m. Friday at the First United Methodist Church, 602 S. Market St., Muncy, where the memorial service will be held at 11 a.m. with his pastor, the Rev. Arlene Beechert, officiating. Burial will be held privately at the First United Methodist Church Memorial Garden. The family will provide the flowers and suggests memorial contributions be made to either the First United Methodist Church, 602 S. Market St., Muncy, PA 17756, or to the Alzheimer’s Association, 225 N. Michigan Ave., Fl 17, Chicago, IL 60601 or to the American Cancer Society, Lycoming Unit, 1948 E. Third St., Williamsport, PA 17701. Expressions of sympathy may be shared at www.grenoblefuneralhome.com.